– Government will consider the question of whether Irish should be optional at Leaving Certificate only after other reforms around the Irish language have occurred. An mhír faoin Ghaeilge is an Ard Teist sa Chlár Rialtais inniu. An Ghaeilge san Ard slán go fóill. Ach cad iad na leasuithe eile timpeall na Gaeilge atá I gceist agus an gcuirfear I bhfeidhm rud ar bith a bheidh chun leasa ba teanga? Foilsiú: 06/03/2011 . igaeilge a d’fhoilsigh. Ranganna: An Ghaeilge, Cúrsaí Reatha, Nuacht. Clibeanna: an Ghaeilge mar abhar riachtanach don Ard Teist, Oideachas. Tá torthaí suirbhé a rinne IPSOS/MRBI ar son Comhar na Múinteoirí Ghaeilge díreach foilsithe agus léiríonn siad go bhfuil móramh suntasach ar son an Ghaeilge a choimeád ina chroí ábhar don Ard Teist. Sin a deir 61% den dream a thug freagra ar an suirbhé agus ba chóir a lua go bhfuil an líon daoine san aois ghrúpa 15-24 ag tabhairt tacaíocht níos tréine don Ghaeilge san Ard Teist. An gcuirfidh seo ina dtost an dream a bhionn de shíor ag íonsaí áit na Gaeilge sa chóras oideachais? Cineál. Chuirfeadh sé iontas orm mura ndéanfaidis iarracht neamh áird iomlán a dhéanamh den suirbhé seo, in ainneoin gur comhlacht é IPSOS/MRBI atá meas ar a shaothar. De ghnath. Ach ná bacaimís le lucht na dímheasa. Beidh siad i gcónaí ann. Ní mór dúinn an fócas a choinneáil ar an toradh is fearr don Ghaeilge i ndeireadh na Dála. Is cinnte go bhfuil Fine Gael tar éis coiscéim nó dhó a thógaint ón gcinneadh a bhí le déanamh acu. Bhí an pháirtí ag maíomh go gcuirfí deireadh le Gaeilge riachtanach laithreach nuair a thiocfaidís i gcumhacht. Anois tá an pháirtí ag caint ar athbhreithniú agus comhairliúcháin – is ionann sin agus a rá go mbeidh moill le cinneadh ar bith agus, anuas ar sin, ba bhocht an athbhreithniú a bheadh ann dá mba rud é go raibh an toradh socruithe ag a thús. Tá caint ag an pháirtí freisin ar ábhar breise don Ard Teist, Gaeilge Cumarsáideach, agus ní aon droch rud é dá mba rud é mar shampla go mbeadh dhá ábhar Ghaeilge ann don Ard Teist, ábhar éigeantach “Gaeilge Cumarsáideach” agus ábhar roghnach Gaeilge Acadúil, agus go gcuirfí deireadh, mar shampla, leis an diolúine a bhionn ar fáil do dhaoine atá tuismitheoirí acu le pócaí doimhne. Is gá, freisin, an argóint a dhéanamh ar son na Gaeilge san Ard Teist ar an mbonn go bhfuil seo ar leas na tíre agus an phobail mhóir, seachas ar leas na teanga is pobal na teanga amháin. Tá na ghnéithe sin tabhacht – ach tá tabhacht níos mó leis an argóínt gur cuid lárnach is tabhachtach í an Ghaeilge den oideachas atá ag teastáil chun daoine le tuiscint a chur ar fáil sa todhchaí. Má chailltear an Ghaeilge san Ard Teist, tubaist a bheadh ann do shaol eacnamaíoch agus cultúrtha na tíre. Cinnte caithfear athruithe a dhéanamh – agus ba cheart go mbeadh na h-athruithe sin mar phríomh obair an athbhreithnithe. An sprioc ar cheart duínn bheith againn anois, a chur ina luí ar Enda Kenny agus Fine Gael go bhfailtímíd roimh an athbhreithniú chomh fada augs go bhfuil sé neamhspleach agus NACH bhfuil an toradh, deireadh le Gaeilge mar chroí abhar Ard Teiste, réamhshocruithe. Sa tsli sin, b’fhéidir gur féidir linn an craiceann agus a luach a fháil ón bpriacal seo. Tá suirbhé neamh-eolaíoch idirlín á dhéanamh faoi láthair ag The Journal ar an gceist. Is féidir leat votáil anseo. Foilsiú: 10/02/2011 . igaeilge a d’fhoilsigh. Ranganna: An Ghaeilge, Cúrsaí Reatha. Clibeanna: Ard Teist, Enda Kenny, Fine Gael, Gaeilge Eigeantach, Oideachas, Scruduithe. Dar le Jim Allister, polaiteooir atá ina cheannaire ar an nGuth Thraidisiúnta Aondachtach, tá airgead á chur amú ar an Ghaelscoileanna ar an mBaile Meanach a fhéadfaí bheith á chaitheamh ar mhaoiniú scoileanna do pháistí le riachtanais speisialta. Ar ndóigh, níl tuismitheoir ar bith le páíste ag freastal ar Ghaelscoil a shéanfadh maoiniú ar pháiste le riachtanas speisialta. Tá páistí acu le riachtanais speisialta an oiread is atá ag tuismitheoirí eile nach seolann a bpáistí chuig Gaelscoileanna agus tá an seirbhís atá á fháil acu chomh h-olc nó níos measa ná na scoileanna Béarla. Ach seo chugainn Jim Biogóideach Mac Allasdar agus é ag iarraidh a chur ina luí nár cheart tacú le Gaeloidachas mar, dar leis, is caitheamh aimsire atá ann. Is dócha go gcreideann sé go bhfuil sé ar thalamh slán agus é ag labhairt ar son páistí le h-uathachas agus riachtanais speisialta eile agus ag íonsaí na Gaeilge. Ach tá iliiomad bealaí ann chun go gcaithfeadh an Rialtas airgead ar shiamsaiocht agus ar chaitheamh aimsire. D’fhéadfá a rá gur ionann Arm na Breataine agus club siamsaiochta agus caitheamh aismire do dhaoine fásta, club thar a bheith dainséarach agus costasach. Cad abea an ‘Territorial Army’ ach club óige do dhaoine fásta? Ach is cuimhin liom Jim agus gach aondachtóir eile ag sarú a cheile chun an Territorial Army a chosaint ó thua Seansailéir na Breataine, Alistair Darling agus Gordon Brown roimis. Anuas ar sin, tá ar pháistí a fhreastalaíonn ar Ghaelscoileanna oideachas a fháil an oiread is atá ar pháistí a fhreastalaíonn ar an ghnath choras oideachais. Agus tá sé léirithe go mbionn toradh níos fearr ar chostas níos lú le fáil ag páistí na gaelscolaíochta, thar páistí an ghnath chórais. Mar sin de, titeann argóint Allister ar a thóin. Gan amhras, ba cheart go mbeadh sin ar eolas ag an abhcóide seo. Ach níl i gceist anseo ach geaitsíocht don slua, ag léiriú go bhfuil sé níos frith Ghaelaí ná an DUP. Geaitsí dainséaracha iad seo mar anois beidh ar an DUP a chruthú don phobal a thugann vóta don pháirtí sin go bhfuiil siad san níos frith Ghaelaí arís. Foilsiú: 10/12/2009 . igaeilge a d’fhoilsigh. Ranganna: An Ghaeilge, Cúrsaí Reatha. Clibeanna: Biogóideachas, Gaelscolaíocht, Jim Allister, Oideachas. Is é sin an ceannlíne ón bhfeachtas is déanaí ó Chonradh na Gaeilge, feachtas ina bhfuil díriú á dhéanamh ar bhaill an Oireachtais ag cur ar a súile go bhfuil an Roinn Oideachais is Eolaíochta ag íonsaí na Gaeilge agus gurb é an úirlis ionsaithe atá á úsáid acu ciorclán na conspóide, Ciorclán 44/2007. Is é seo an ciorclán a chuireann iallach ar mhúinteoirí tosnú leis an Bhéarla i rang na naíonáin beaga tar éis an chéad téarma. Cuireann sin poll sa chóras tumoideachais iomlán a bhí ag obair go h-anmhaith i mbunscoileanna agus atá ag obair i mbunscoileanna ó thuaidh go fóill. Gheobhaidh thart ar 500 duine agaibh an teachtaireacht seo in ainneoin nach féidir libh ríomhphoist a chéile a fheiscint. Tá sé curtha ag thart ar 40 ball de Oireachtas Éireann cheana féin chomh maith: ábhar macnaimh dóibh don samhradh. Seo a chur ar aghaidh go dtí cairde libh. A fhiafraí de aon Teachta nó Seanadóir a mbuaileann sibh leis i gcaitheamh an tsamhraidh (agus d’fheadfadh sibh féachaint chuige go mbuaileann) : why doesn’t the Department stop attacking Irish medium education AND see to it that Irish is taught properly in English medium national schools. Níl aon áibhéil ar bun agam nuair a deirim go bhfuil daonnacht an Éireannaigh faoi ionsaí – múchadh atá i gceist ag Roinn Oideachais. Léirítear an meon sa bheart. Maithfidh sibh dom mo thaithí mar eag. ar FEASTA a chur chun tairbhe na cúise mar uachtarán ar an gConradh. Is é seo an litir atá seolta aige chuig baill an Oireachtais. Tacaím leis an bhfeachtas seo – ach caithfear é a leathnú taobh amuigh de chiorcal chúng na scríobhnóirí Ghaeilge. For your information – despite all evidence to the contrary the Department of Education and Science still maintains its post-colonial war against immersion education, and early total immersion in infants in particular, in the 26 Counties. I refer to the failure of the Department to withdraw circular 44/2007, a circular aimed at ending early total immersion in Irish in Gaeltacht schools, which need the Departments support as never before; and in Irish medium national schools, known as gaelscoileanna, to which the Irish language community looks in order to ensure its longterm viability. This is not acceptable behaviour from the Department. Nor is it acceptable that Dáil Éireann should allow this behaviour to continue. The humanity of Irish citizens in Ireland is under attack by a Department of Education and Science in which people who regard education through Irish as ‘bad practice’ – no matter what the evidence is to the contrary – are in the ascendant. COGG – An Chomhairle Oideachais Ghaeilge agus Gaelscolaíochta, should be allowed to do its own research these questions. And the Department should direct its attention to ensuring that Irish is properly taught in all national schools. 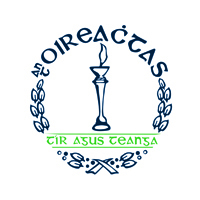 It is essential that the Department provide a proper integrated and graded course in Irish for national schools generally (on the Séideán Sí model): you may not appreciate that the Department is guilty of 20 years neglect in the provision of such back up for the national teacher generally, yet attacking what little educational provision there is through Irish seems to be the priority. Besides, the Department knows that the 93% of the population who support Irish (Mac Gréil research) want their children to be properly taught the language. Dáil Éireann could see to it that the Department sets about fulfilling its responsibilities in that regard. Cuirim leis seo mar eolas roinnt rún a ritheadh ag Ardfheis Chonradh na Gaeilge i mí Bhealtaine, ar eagla nach bhfuil siad feicthe agat cheana. Is ábhar suime an taighde is déanaí ó Thuaisceart Éireann a bhfuil tuairisc ina thaobh ar Gaelport.com thíos Agus gura maith agat as an méid seo a léamh go dtí seo. 9. Oideachas. Luath-thumoideachas iomlán: Iarraimid ar an Roinn Oideachais agus Eolaíochta ciorclán 44/2007 a tharraingt siar. 10. Oideachas. Luath-thumoideachas iomlán: Éilímid go bhféachfadh na húdaráis chuí chuige go ndéanfar taighde ar bhonn uile-oileánda ar an luath-thumoideachas iomlán, cleachtas tábhachtach oideachasúil, a bhfuil dlúthbhaint aige le buanú phobal na Gaeilge lasmuigh agus laistigh den Ghaeltacht. 11. Oideachas. Ionad Náisiúnta Oideachais: Éilímid arís eile go go mbrúfaí chun cinn leis an Ionad Náisiúnta Oideachais i mBaile Bhuirne, Co. Chorcaí, a gheall Airí Oideachais agus Eolaíochta i Mí na Nollag 1999 agus arís i Meitheamh 2000: ar mhaithe le múinteoirí a chumasú chun an leas is fearr a bhaint as a dtalann féin agus as buanna a ndaltaí scoile; chun taighde leanúnach a dhéanamh ar mhúineadh na teanga; áiseanna teagaisc a fhorbairt, agus oiliúint agus tacaíocht a chur ar fáil do mhúinteoirí agus do lucht comhairle agus pleanála san oideachas. 12. Oideachas. Cúrsa Comhtháite Gaeilge: Iarrann an Ardfheis ar an Roinn Oideachais agus Eolaíochta cúrsa comhtháite Gaeilge a chur ar fáil do na bunscoileanna sin nach bunscoileanna lánGhaeilge iad; agus go ndéanfaí amhlaidh ag an dara leibhéal. Groundbreaking research carried out by academics from Queen’s University has demonstrated the underlying advantages of Irish-medium education. A study by Dr Judith Wylie and Dr Gerry Mulhern from Queen’s School of Psychology indicated there were significant advantages to children educated in Irish-medium schools. Aside from cultural and social benefits of bilingualism, the research showed there were real cognitive gains from being fluent in two languages. The research -– the first of its kind involving the Irish-medium sector -–looked at short-term memory and working memory performance in primary school children. “Short memory and working memory are centrally important in all learning, indeed everyday tasks such as reading, reasoning and mental arithmetic rely heavily on these processes,” Dr Wylie said. “Using standardised tests of verbal and visual memory, our research compared groups of children from Irish-medium schools with children from the more usual English-only schools in Northern Ireland.” Results indicated that children who attended Irish-medium schools significantly outperformed those from the English-medium sector. On average, eight-year-old and 10-year-old children from Irish-medium schools were found to outperform children of a similar age from English-only schools. However, the most dramatic finding was that eight-year-old Irish-medium children performed at least as well as, and in several areas better than, 10-year-olds from English-only schools. Dr Reamai Mathers from Iontaobhas na Gaelscolaiochta, the trust fund for the sector, welcomed the findings. “This groundbreaking work adds further evidence to the increasingly indisputable body of good science that shows that children who are educated in Irish-medium schools are not only receiving the benefit of two languages but are also receiving tangible educational advantages,” he said. Earlier this year, Key Stage 2 assessments (Primary 7), which focuses on the areas of English and maths, demonstrated that for the last three years attainment in Irish-medium education had been higher than the Northern Ireland average. Foilsiú: 01/07/2009 . igaeilge a d’fhoilsigh. Ranganna: An Ghaeilge, Cúrsaí Reatha, Nuacht. Clibeanna: COGG, Conradh na Gaeilge, Feasta, Gaelscolaíocht, Oideachas, Pádraig Mac Fhearghusa. Bhí cúpla litir san Irish Times ar maidin ag tabhairt freagra ar an gcolún gránna a d’fhoilsigh an nuachtán ó pheann Kathryn Holmquist ar an Mháirt. Thugas m’fhreagra féin anseo ar an lá…. Bhí na freagraí fiúntach agus níor chuaigh siad thar fóir, faoi mar ar chuaigh an colúnaí féin lena gcomparáid díspeagúil idir an bhónas marcanna do lucht déanta na hArd Teiste agus an córas “Apartheid” san Aifric Theas. Tá na litreacha le fáíl anseo. Agus is é seo an freagra a chur mé chuig an Times mé féin, litir nár fhoilsíodh go fóill agus b’fheidir nach foilseofar é ach an oiread nó táim den tuairim go mbeidh go leor freagraí á fháíl ag Madam Eagarthóir mar gheall ar an gcolún místuama míthomhaiste a d’fhoilsigh sí ón Meirceánach, an Bean Uasal Holmquist. In her ‘Give Me A Break’ column, published in the Irish Times (9 December, 2008), Kathryn Holmquist rather tritely and inaccurately compared the Apartheid system of racial segregation in South Africa with the education system in Ireland in which students who sit their exams in Irish receive a bonus mark for their efforts. The use of such provocative and inflammatory comparisons is becoming increasingly prevalent in Irish journalism and ought to be avoided because it demeans not alone the argument, in which there may or may not be a kernel of worth, but also those who suffered grieviously under the brutal oppression employed by the Apartheid regime. Ms. Holmquist is under the mistaken impression that the 10% bonus – and that has to be qualified too – is available for merely sitting an exam as Gaeilge and that this is an unacceptable privilege. It is not a privilege – it’s merely the State attempting to compensate students who spend thirteen years in an Irish medium education system without access to text books or other educational resources of a similar standard to those which are offered in the English medium sector. In my opinion, the bonus mark, which actually amounts to 10% of all marks scored up to 50% and, if a student scores higher than 50%, a tenth of the remainder*, is a very poor compensation for the work which has to be done by teachers and students to fill the gaps in many subject areas because of the failure of the State to provide for sufficient Irish language text books of an equivalent standard to those available in the English medium. My late father was a history and geography teacher who spent hours preparing by hand such notes for his students in an era when word processors and computers were not to be had in his school – neither he nor his students considered that to be a privilege. She rather gives the game away in her comments on the preponderance of Irish medium schools in the top echelon of ‘feeder’ schools for third level institutions in Ireland. The reality is that all Irish medium secondary schools are open to all, irrespective of family circumstances, something which cannot be said for the state subsidised fee paying schools. Therefore her children and the children of all parents can avail of Irish medium education – but even if they didn’t opt to go to an Irish medium secondary school, it still remains open to them to prepare for and sit their Leaving Certificate in Irish and thus avail of the bonus mark. Parents who send their children to an Irish medium school in general do not do so so they can afford a holiday, as Ms Holmquist suggests dismissively, but because this is the best affordable option for the best education possible for their children. Amidst all of Ms Holmquist’s illinformed diatribe about the Irish language and its place in the education system of Ireland, her one valid point could be missed. The treatment of children with dyslexia differently to those with other special needs is wrong. If a child has a special educational need, the State should have the grace to care for the child on the basis of that need and give him or her the fair start in life supposedly guaranteed by the education system, irrespective of what language is spoken by the child. Her ‘best argument’ for the removal of Irish as a necessary subject for the Leaving Certificate is an ill disguised expression of intolerance to Irish in the ‘multicultural society’. Pitting one minority against others in order to bring about a system in which English is the only tolerated language is a hamfisted and crude expression of intolerance. If she takes the trouble to visit any number of Gaelscoileanna she will encounter several children of different cultural backgrounds learning as Gaeilge without any sign of discontent with their lot. It is indeed ironic that the article by Ms Holmquist appeared in the edition of the Irish Times which featured a supplement to celebrate the 50th anniversary of the Universal Declaration of Human Rights. This declaration guarantees among other things the right of free expression and the right of the parents to choose the best education for their child. It is indicative of the double standards of the Irish Times that not one article of the supplement was written in Irish! * Sin mar a bhíodh an córas marcála agus mise ag déanamh na hArd Teiste. Gach seans go bhfuil sé abhairín difriúil anois, faoi mar a mhíníonn Seán O hAdhmaill ina litir, ach is ionann an prionsabal agus is mór an náire don Stat gur féidir seo a rá de bharr gur beag feabhais atá ag tagtha ar sholathar na dtéacsleabhair Ghaeilge ón am ar cuireadh an Ard Teist ormsa i 1985 agus an lá inniu. Newspapers and periodicals shall not publish material intended or likely to cause grave offence or stir up hatred against an individual or group on the basis of their race, religion, nationality, colour, ethnic origin, membership of the travelling community, gender, sexual orientation, marital status, disability, illness, or age. Ní mór smaoineamh gur dhein an comparáid seo beag den dream a d’fhulaing faoi ‘Apartheid’ an oiread is gur dhein sé deamhanú ar an gcóras Gaeloideachais. Foilsiú: 11/12/2008 . igaeilge a d’fhoilsigh. Ranganna: An Ghaeilge, Cúrsaí Reatha, Cultúr. Clibeanna: Apartheid, Cinedheighilt, Gaeloideachas, Oideachas.